Painful coverage of the intersection of money and politics. Who pays the price? Poor people–hardly a surprise. Last summer, many of New Jersey’s most powerful officials assembled for a wedding that bridged the worlds of politics and prisons. The bride was Jessica Clancy, a daughter of John J. Clancy, Community Education’s founder and chief executive. The groom was Samuel Viavattine, whom Mr. Christie hired in 2010 as an assistant in the governor’s office. He is now paid $42,000 a year. Mr. Christie attended the wedding, as did State Senator Richard J. Codey, a Democrat who is a former governor and Senate president. He served as Community Education’s insurance broker for many years and plays golf with Mr. Clancy. Among others at the wedding was Joseph N. DiVincenzo Jr., the Essex County chief executive, a Democrat who is close to Mr. Christie. The three elected officials and their associated party committees have received more than $200,000 in campaign contributions from Community Education, its executives and their family members over the last decade, according to state records. Mr. Clancy, who got his start running a drug-treatment center in Hoboken, was one of the first entrepreneurs to realize that halfway houses could be big business. In New Jersey, as in many other states, expenditures for prisons have been among the fastest-rising. Mr. Clancy had an alluring sales pitch: Trenton could reduce costs and improve services by turning over inmates to Community Education. In the 1990s, Mr. Clancy worked out an unusual arrangement. Under state law, only nonprofit agencies can receive contracts for halfway houses. But regulators allowed Community Education to obtain contracts through a nonprofit called Education and Health Centers of America, state records show. That arrangement remains. The primary purpose of the nonprofit has been to pay Community Education hundreds of millions of dollars that the nonprofit has received in recent years from state and county agencies, disclosure records show. The nonprofit has only 10 employees, and gave Mr. Clancy a $351,346 salary in its 2011 fiscal year, according to the records. Community Education itself, which is privately held, does not disclose how much it separately pays Mr. Clancy. Early on, Mr. Clancy hired a law firm, Dughi, Hewit & Palatucci, to lobby in Trenton. Its lobbyists were Mr. Christie and Mr. Palatucci, who were close friends and rising political stars. 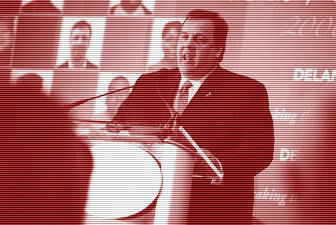 Community Education and Mr. Christie’s aides said Mr. Palatucci, not Mr. Christie, lobbied for the company, though both men were listed on disclosure forms. Mr. Christie and Mr. Palatucci were major fund-raisers for George W. Bush’s 2000 presidential campaign. After Mr. Bush won, Mr. Palatucci sent Mr. Christie’s résumé to Karl Rove, the president’s political strategist. Soon after, Mr. Bush picked Mr. Christie to be the United States attorney for New Jersey. This entry was posted in incarceration, Politics, racism. Bookmark the permalink.